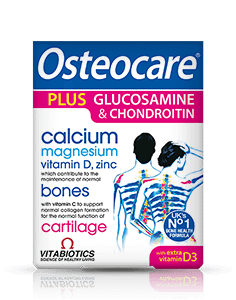 Osteocare Original is the UK’s no.1 bone health formula and has been scientifically developed on the basis of the very latest research to provide a rich source of calcium and co-factors including vitamin D which helps with the normal absorption of calcium by the body. 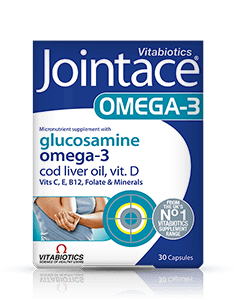 Osteocare contains the preferred D3 form of Vitamin D. Vitamin D3, also known as cholecalciferol, is the form of vitamin D that is produced by the skin on exposure to sunlight. D3 is the preferred form of vitamin D because it is the specific form made in the human body and therefore more effective than D2 which is found in some supplements. 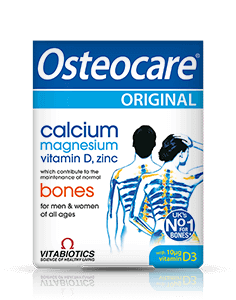 Osteocare Original provides 100% NRV (Nutrient Reference Value) of calcium carefully combined with co-factors including vitamin D, zinc and magnesium which help to maintain normal bone health. 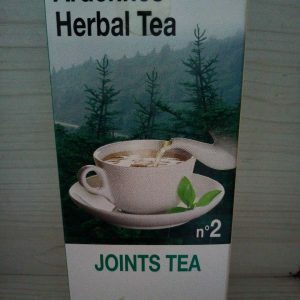 Ensuring an adequate intake of calcium is vital for men and women of all ages, as evidence suggests that healthy practices early in life, including the adequate consumption of calcium and trace elements, contribute to normal bone health and optimal bone mineralisation. Peak bone mass, obtained during childhood and adolescent growth is known to be of major importance in maintaining bones later in life. The UK Department of Health recommends that everyone should consider taking a daily supplement containing of vitamin D, particularly during autumn and winter.